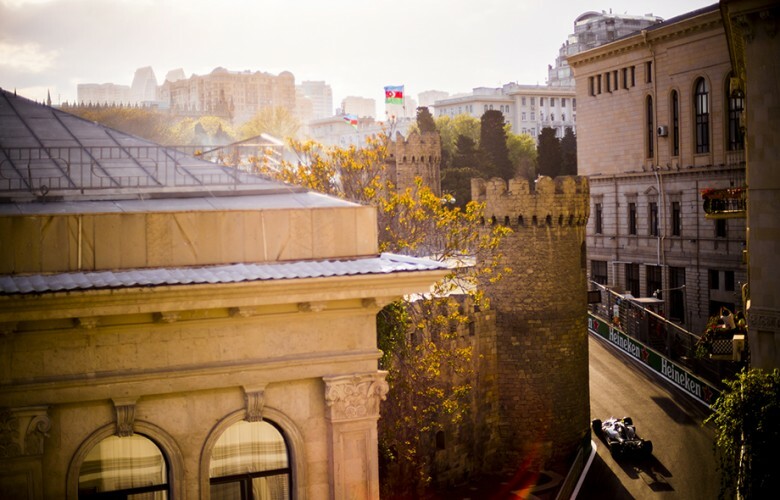 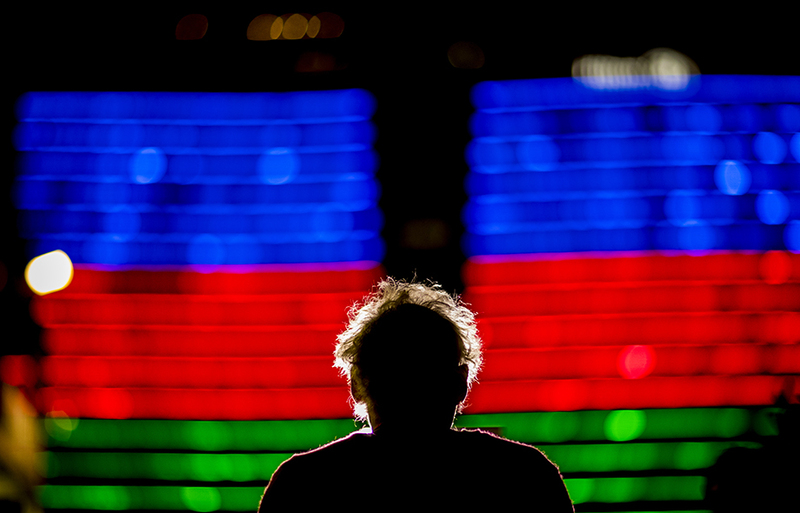 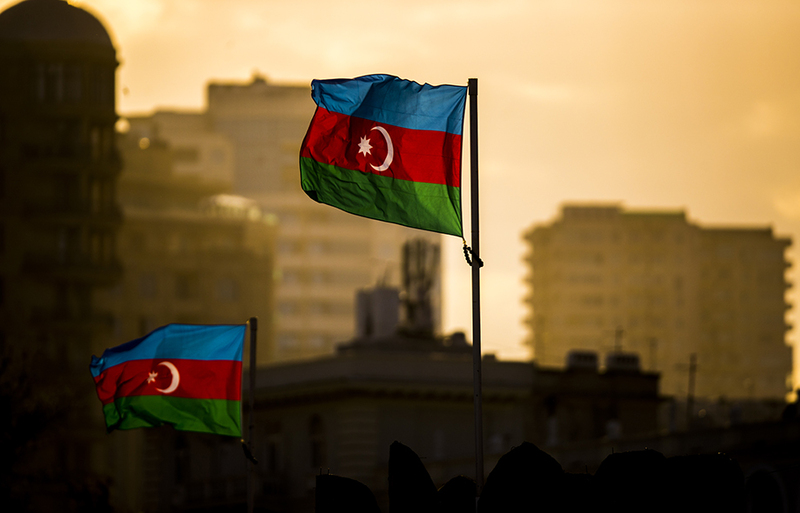 Azerbaijani flags are pictured as sun sets down following qualifying for the Azerbaijan Formula One Grand Prix at Baku City Circuit on April 28, 2018 in Baku, Azerbaijan. 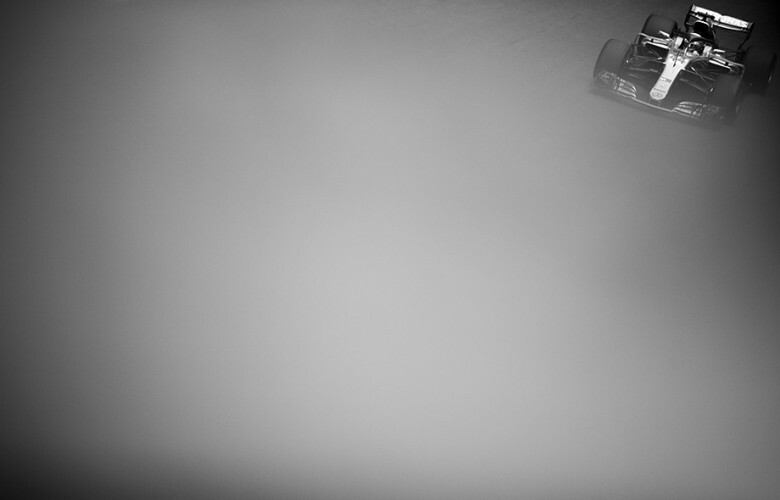 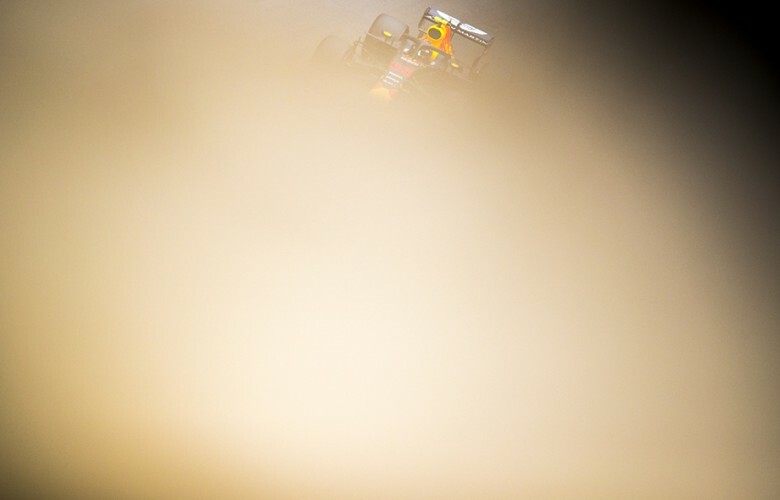 Daniel Ricciardo of Australia and Aston Martin Red Bull Racing is pictured during practice for the Azerbaijan Formula One Grand Prix at Baku City Circuit on April 27, 2018 in Baku, Azerbaijan. 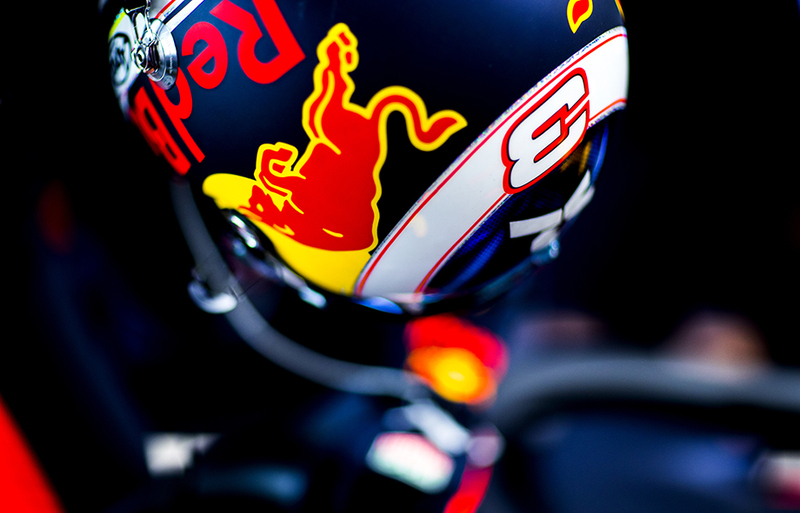 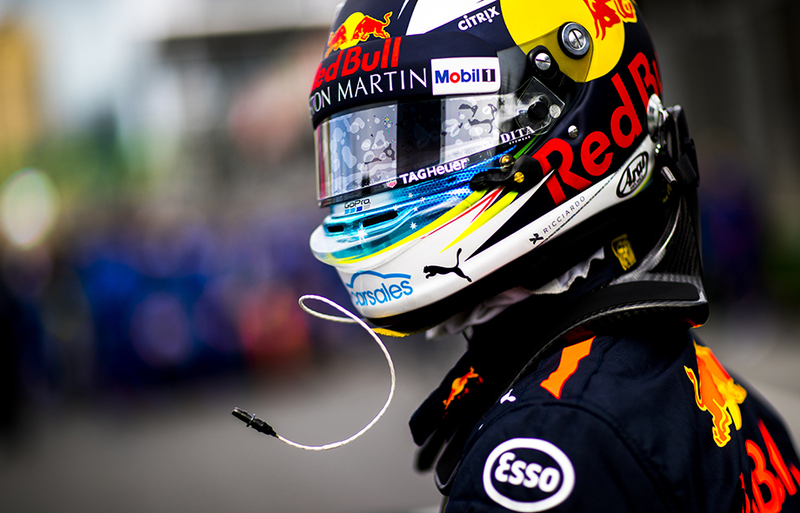 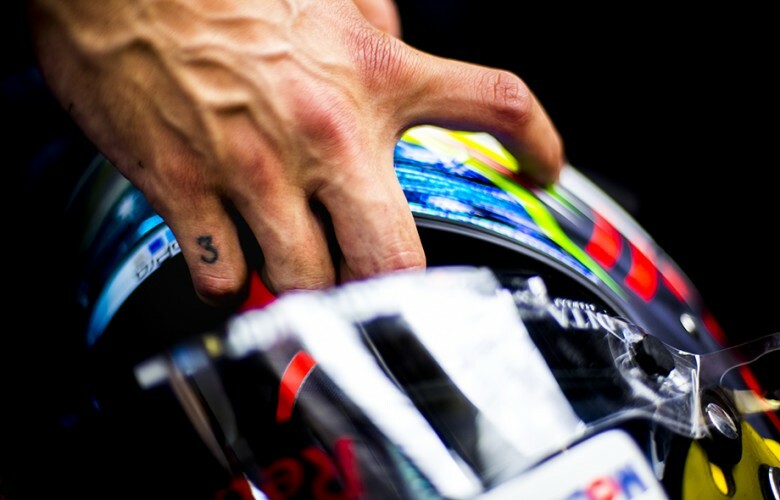 Daniel Ricciardo of Australia and Aston Martin Red Bull Racing holds his crash helmet during practice for the Azerbaijan Formula One Grand Prix at Baku City Circuit on April 27, 2018 in Baku, Azerbaijan. 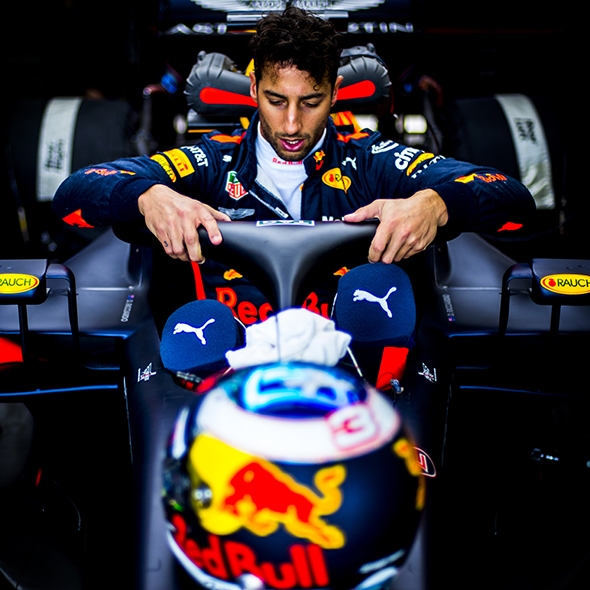 Daniel Ricciardo of Australia and Aston Martin Red Bull Racing steps into his RB14 during practice for the Azerbaijan Formula One Grand Prix at Baku City Circuit on April 27, 2018 in Baku, Azerbaijan. 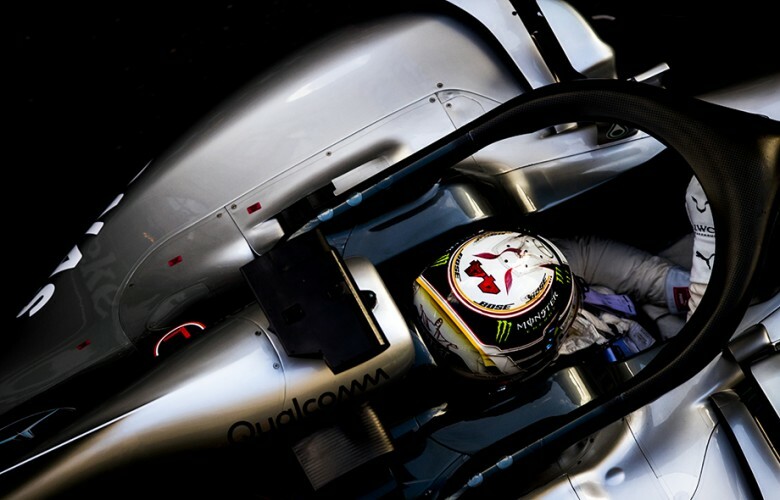 Lewis Hamilton of Great Britain and Mercedes AMG Petronas drives his W09 during practice for the Azerbaijan Formula One Grand Prix at Baku City Circuit on April 27, 2018 in Baku, Azerbaijan. 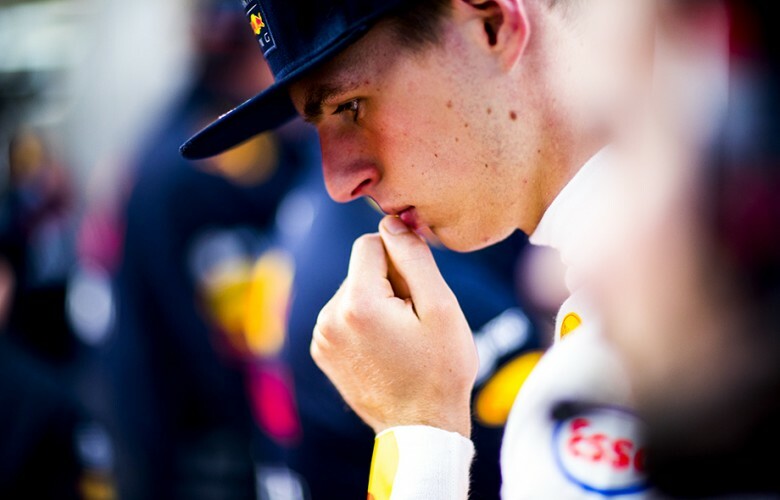 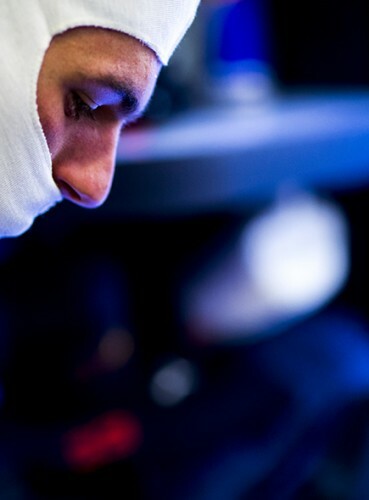 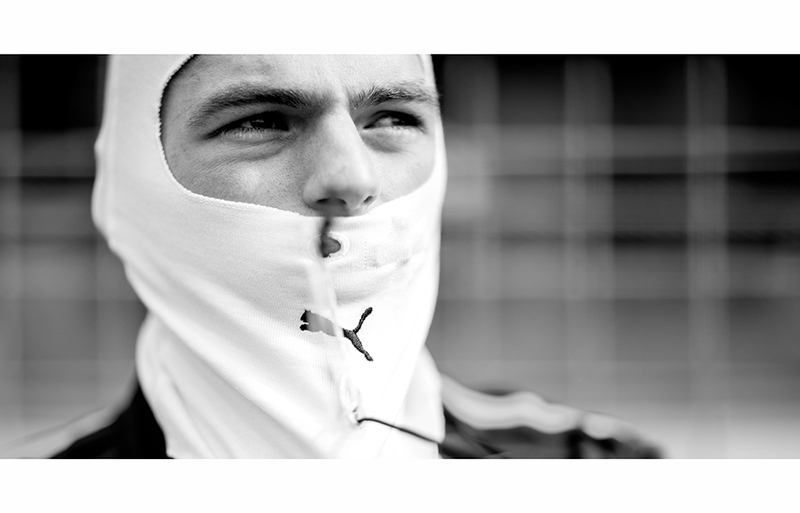 Max Verstappen of Netherlands and Aston Martin Red Bull Racing looks thoughtful inside the garage during practice for the Azerbaijan Formula One Grand Prix at Baku City Circuit on April 27, 2018 in Baku, Azerbaijan. 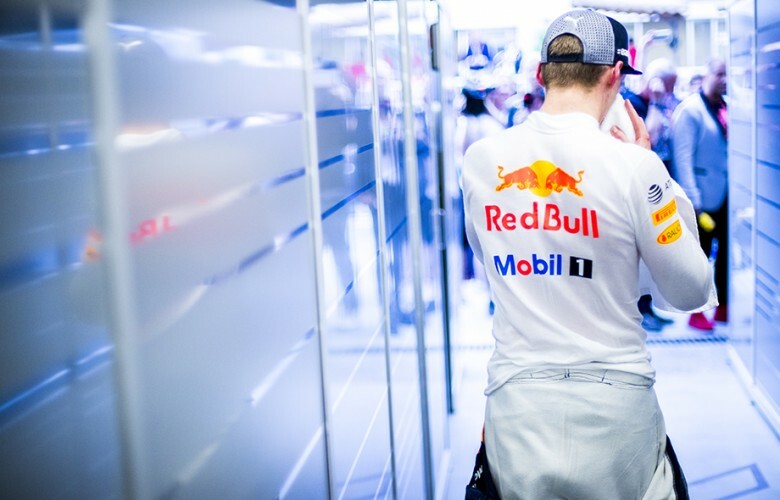 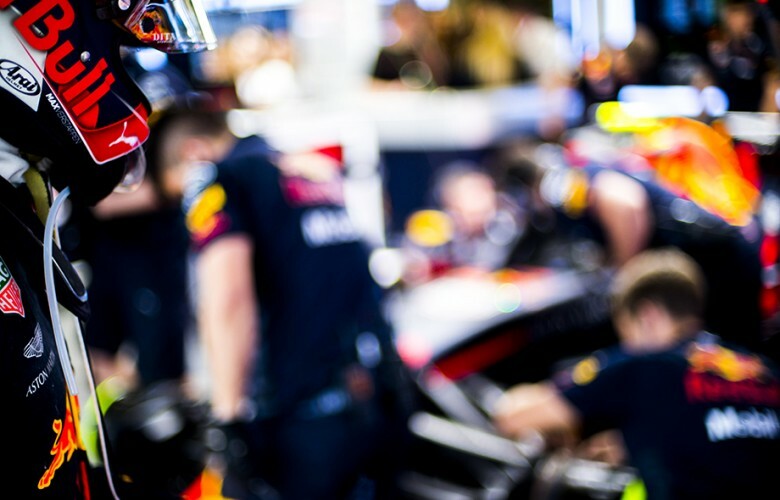 Max Verstappen of Netherlands and Aston Martin Red Bull Racing prepares inside the garage prior to the Azerbaijan Formula One Grand Prix at Baku City Circuit on April 29, 2018 in Baku, Azerbaijan. 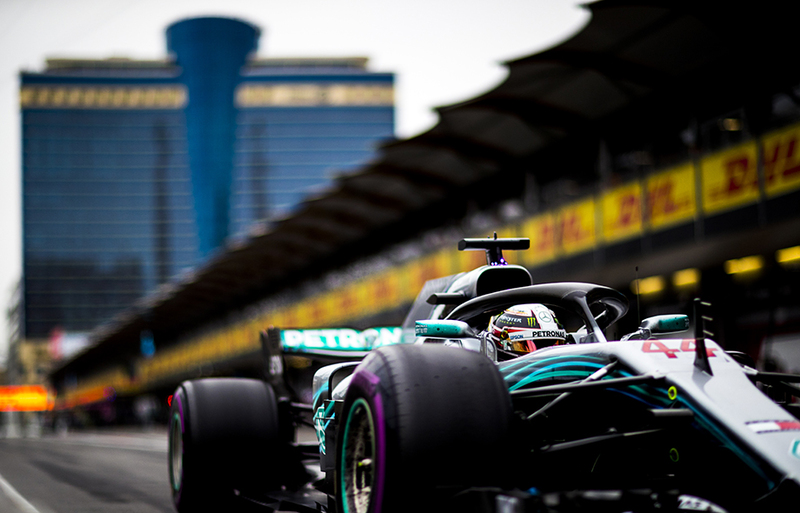 Lewis Hamilton of Great Britain and Mercedes AMG Petronas drives his W09 during qualifying for the Azerbaijan Formula One Grand Prix at Baku City Circuit on April 28, 2018 in Baku, Azerbaijan. Max Verstappen of Netherlands and Aston Martin Red Bull Racing drives his RB14 during qualifying for the Azerbaijan Formula One Grand Prix at Baku City Circuit on April 28, 2018 in Baku, Azerbaijan. 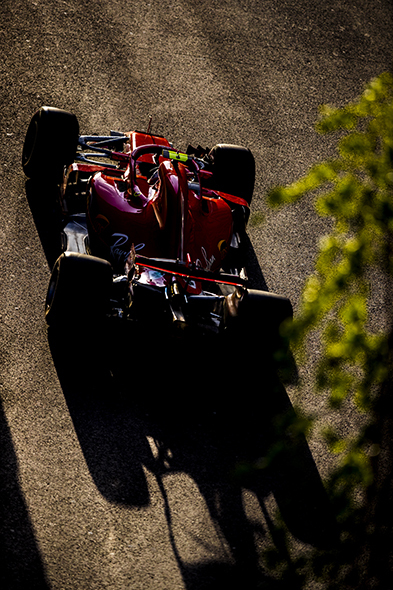 Kimi Raikkonen of Finland and Scuderia Ferrari drives his SF71H during qualifying for the Azerbaijan Formula One Grand Prix at Baku City Circuit on April 28, 2018 in Baku, Azerbaijan. 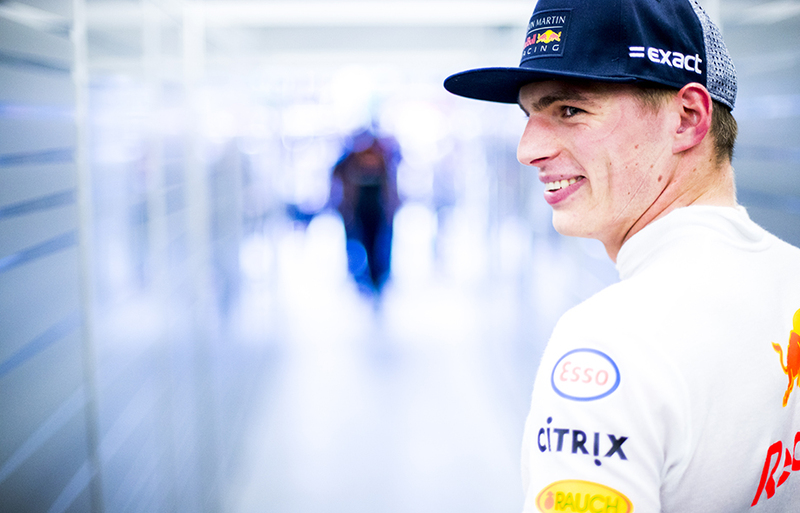 Max Verstappen of Netherlands and Aston Martin Red Bull Racing is seen inside the garage during practice for the Azerbaijan Formula One Grand Prix at Baku City Circuit on April 27, 2018 in Baku, Azerbaijan. 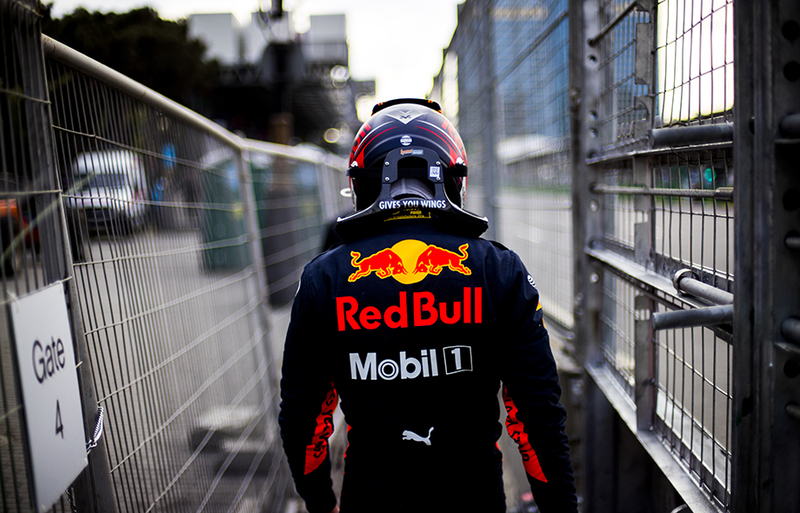 Max Verstappen of Netherlands and Aston Martin Red Bull Racing leaves the garage during practice for the Azerbaijan Formula One Grand Prix at Baku City Circuit on April 27, 2018 in Baku, Azerbaijan. 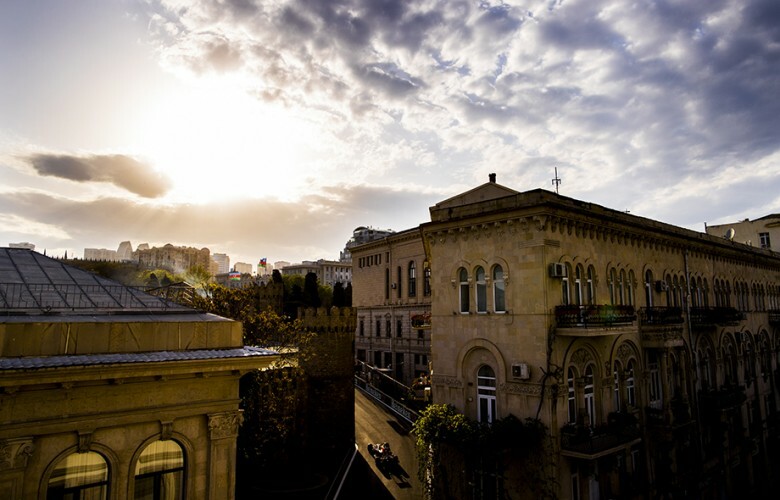 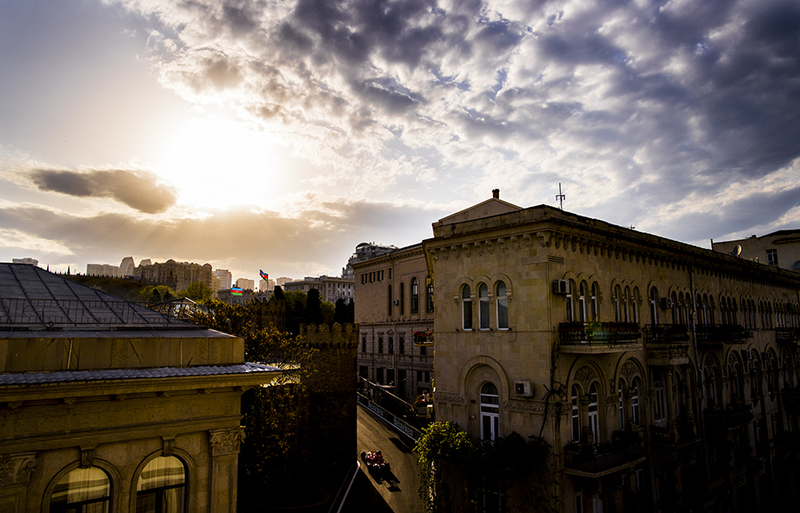 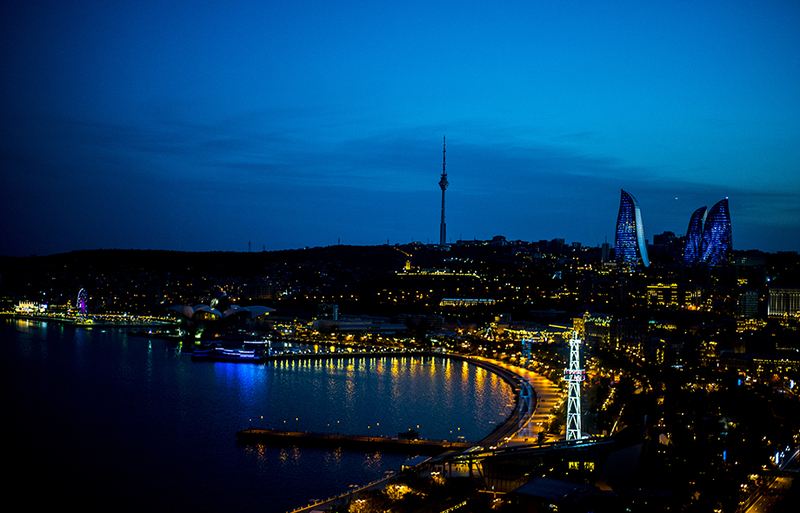 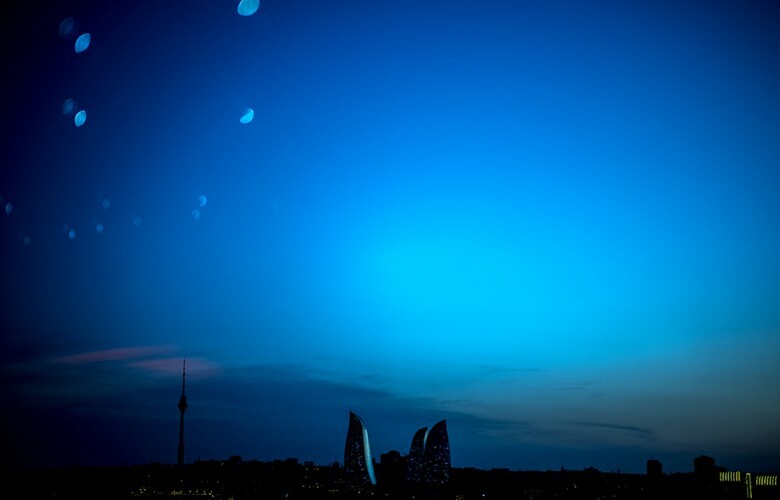 Sun sets down over the city of Baku during previews for the Azerbaijan Formula One Grand Prix at Baku City Circuit on April 26, 2018 in Baku, Azerbaijan. World Champion Jacques Villeneuve is seen following practice for the Azerbaijan Formula One Grand Prix at Baku City Circuit on April 27, 2018 in Baku, Azerbaijan. 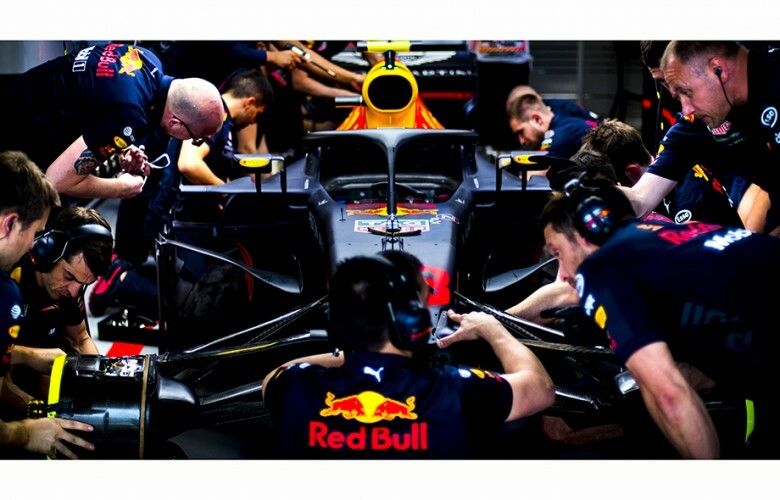 Aston Martin Red Bull Racing mechanics work inside the garage on the car of Max Verstappen of Netherlands and Aston Martin Red Bull Racing during practice for the Azerbaijan Formula One Grand Prix at Baku City Circuit on April 27, 2018 in Baku, Azerbaijan. 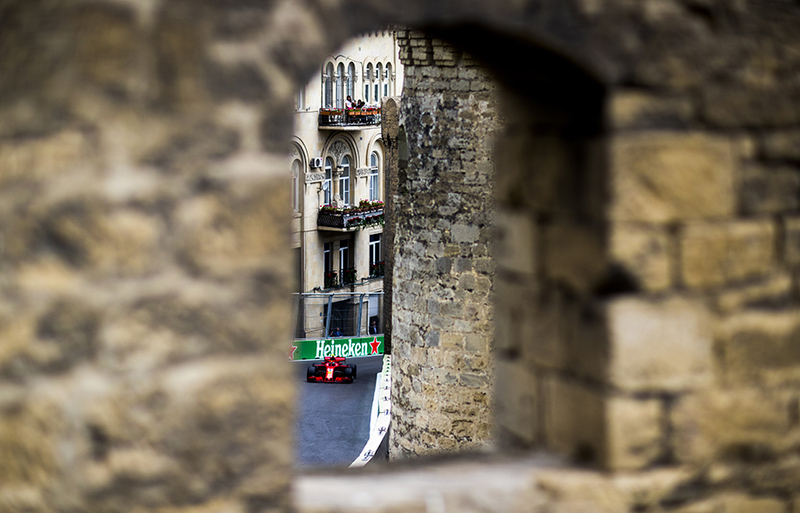 Sebastian Vettel of Germany and Scuderia Ferrari drives his SF71H during qualifying for the Azerbaijan Formula One Grand Prix at Baku City Circuit on April 28, 2018 in Baku, Azerbaijan. 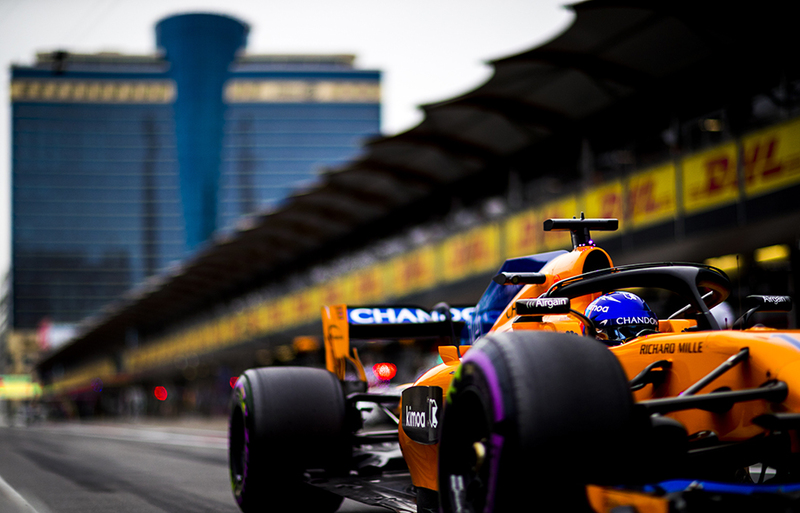 Fernando Alonso of Spain and McLaren-Honda drives his MCL33 during practice for the Azerbaijan Formula One Grand Prix at Baku City Circuit on April 27, 2018 in Baku, Azerbaijan. 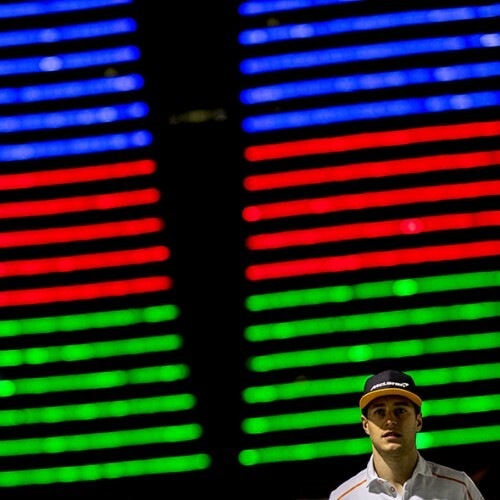 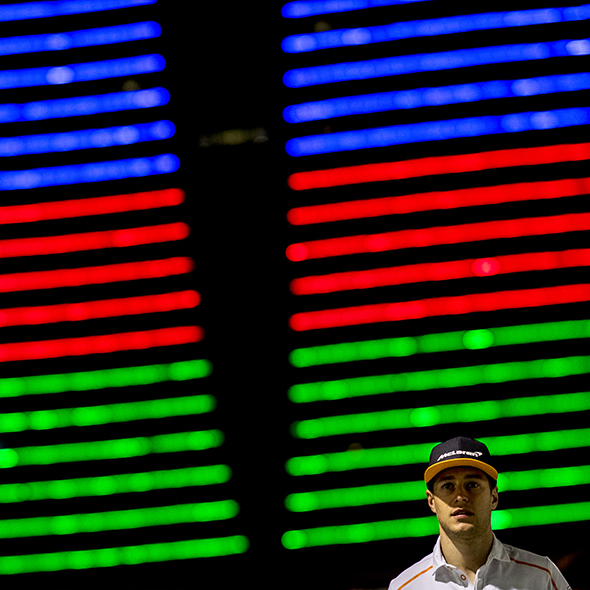 Stoffel Vandoorne of Belgium and McLaren-Honda is seen in the paddock following practice for the Azerbaijan Formula One Grand Prix at Baku City Circuit on April 27, 2018 in Baku, Azerbaijan. 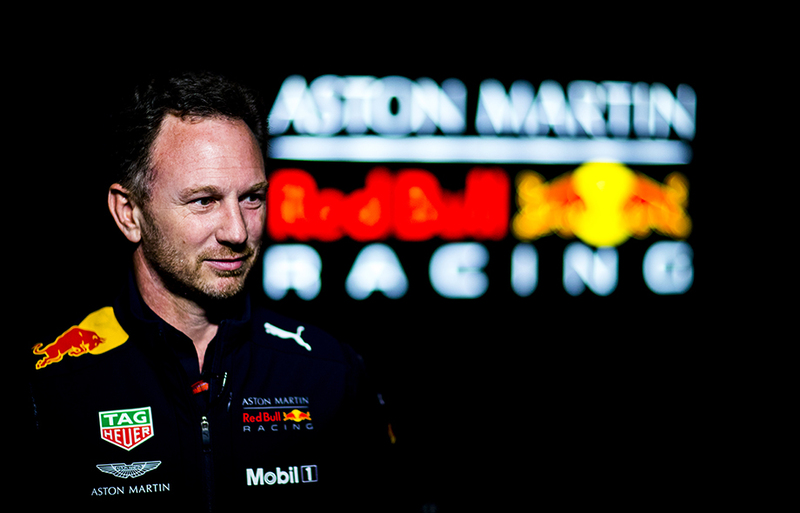 Aston Martin Red Bull Racing Team Principal Christian Horner looks on following practice for the Azerbaijan Formula One Grand Prix at Baku City Circuit on April 27, 2018 in Baku, Azerbaijan. 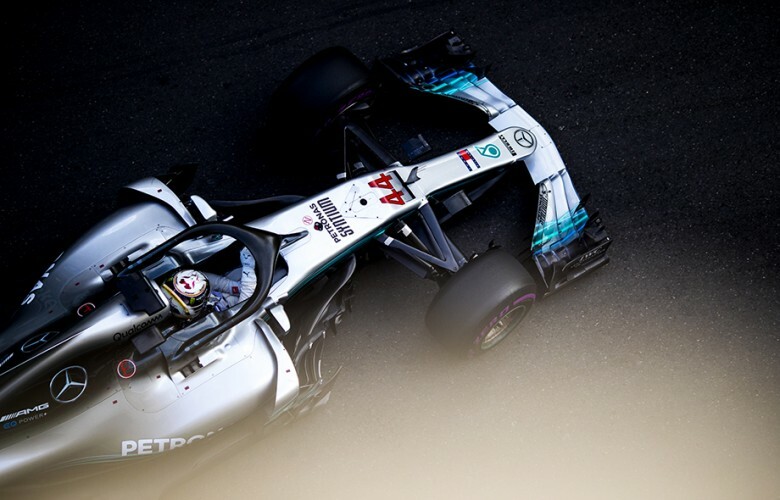 Valtteri Bottas of Finland and Mercedes AMG Petronas drives his W09 during qualifying for the Azerbaijan Formula One Grand Prix at Baku City Circuit on April 28, 2018 in Baku, Azerbaijan. 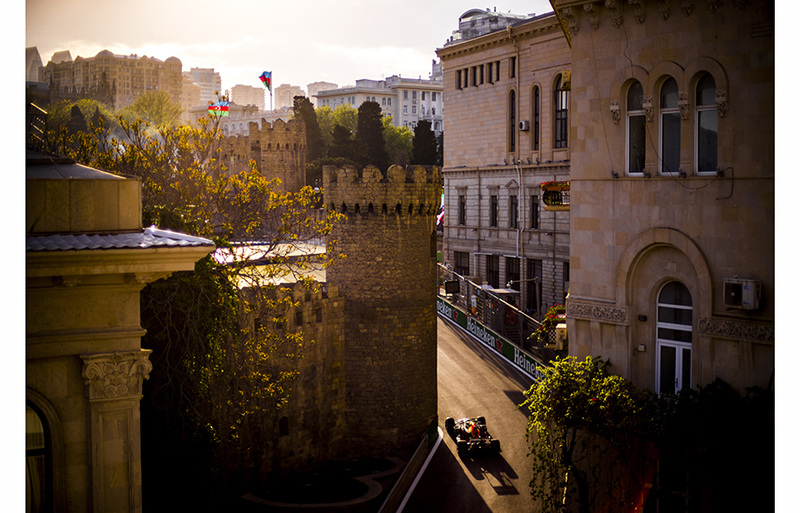 Fernando Alonso of Spain and McLaren-Honda drives his MCL33 during qualifying for the Azerbaijan Formula One Grand Prix at Baku City Circuit on April 28, 2018 in Baku, Azerbaijan. 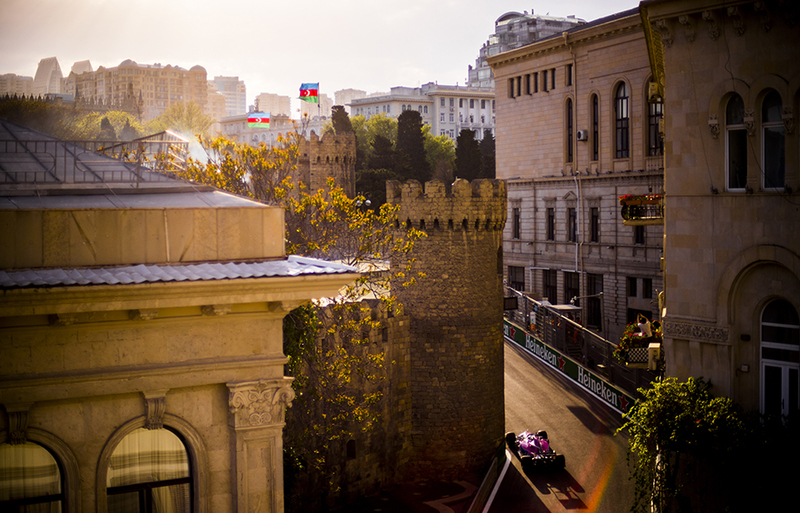 Sergio Perez of Mexico and Force India drives his VJM11 during qualifying for the Azerbaijan Formula One Grand Prix at Baku City Circuit on April 28, 2018 in Baku, Azerbaijan. 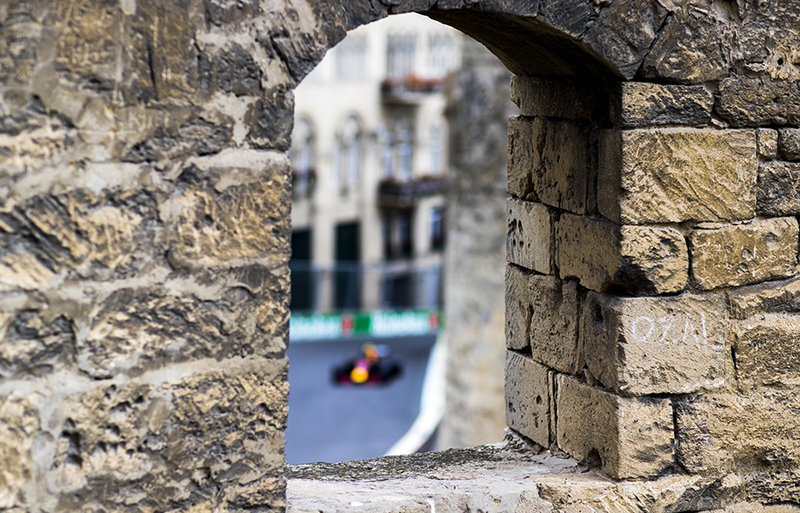 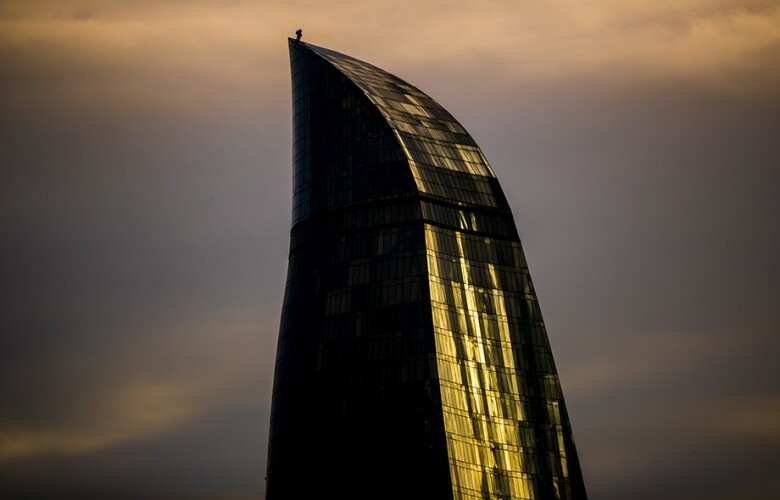 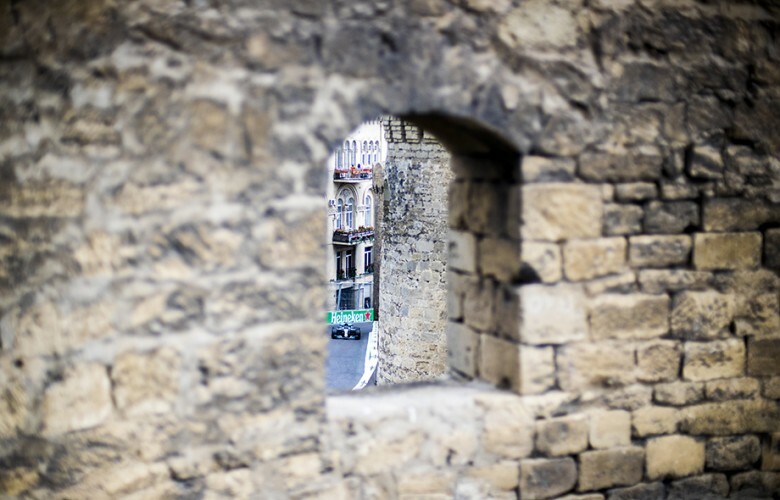 A detail view of the Flame towers is pictured during qualifying for the Azerbaijan Formula One Grand Prix at Baku City Circuit on April 28, 2018 in Baku, Azerbaijan. 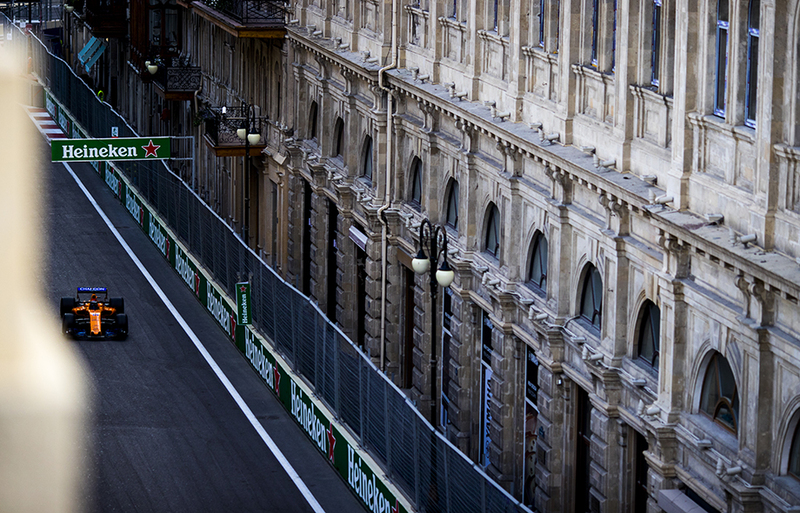 Daniel Ricciardo of Australia and Aston Martin Red Bull Racing drives out of his garage prior to the Azerbaijan Formula One Grand Prix at Baku City Circuit on April 29, 2018 in Baku, Azerbaijan. Daniel Ricciardo of Australia and Aston Martin Red Bull Racing is seen on the grid ahead of the Azerbaijan Formula One Grand Prix at Baku City Circuit on April 29, 2018 in Baku, Azerbaijan. 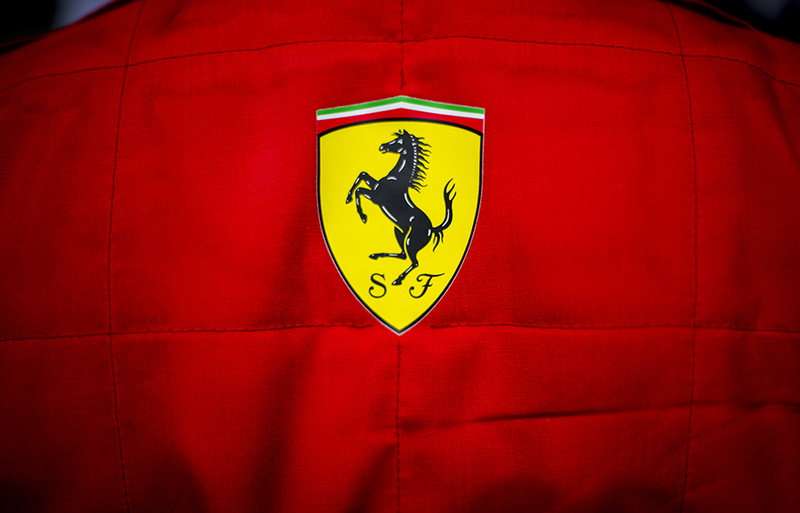 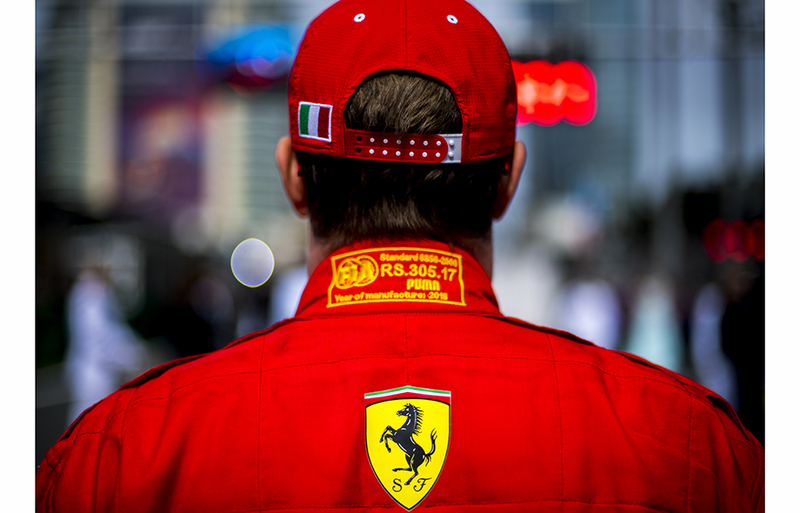 Kimi Raikkonen of Finland and Scuderia Ferrari on the grid prior to the Azerbaijan Formula One Grand Prix at Baku City Circuit on April 29, 2018 in Baku, Azerbaijan. 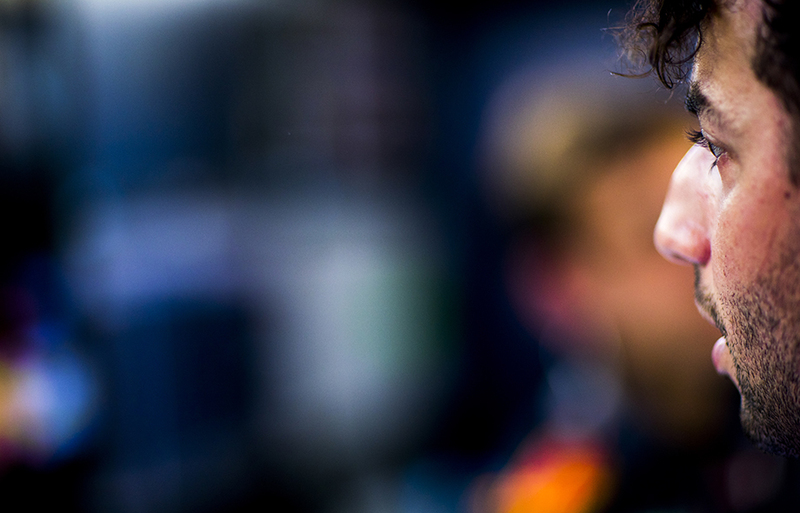 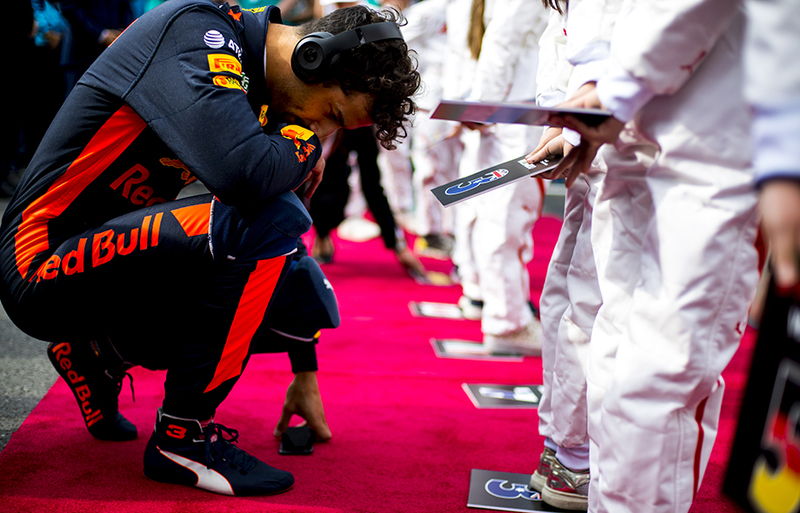 Daniel Ricciardo of Australia and Aston Martin Red Bull Racing on the grid prior to the Azerbaijan Formula One Grand Prix at Baku City Circuit on April 29, 2018 in Baku, Azerbaijan. 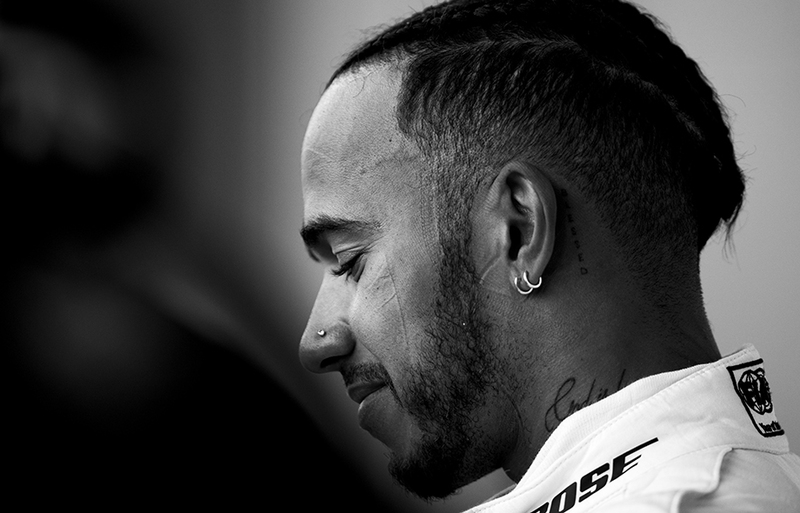 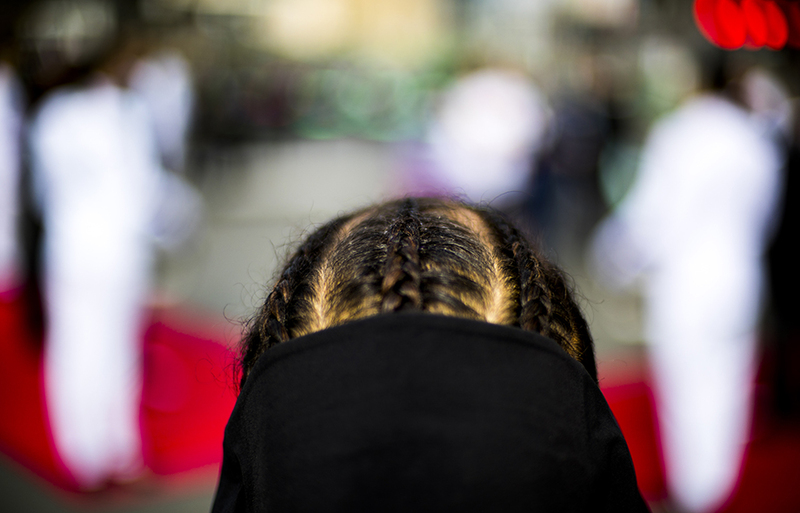 Lewis Hamilton of Great Britain and Mercedes AMG Petronas on the grid prior to the Azerbaijan Formula One Grand Prix at Baku City Circuit on April 29, 2018 in Baku, Azerbaijan. 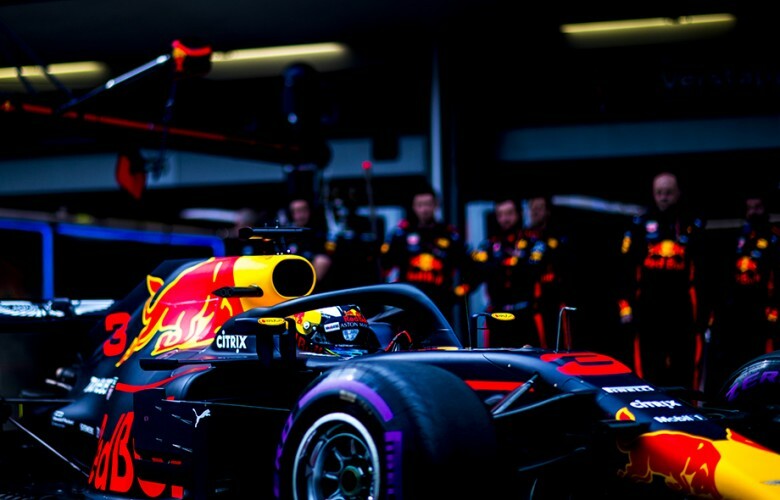 Max Verstappen of Netherlands and Aston Martin Red Bull Racing is seen on the grid ahead of the Azerbaijan Formula One Grand Prix at Baku City Circuit on April 29, 2018 in Baku, Azerbaijan. 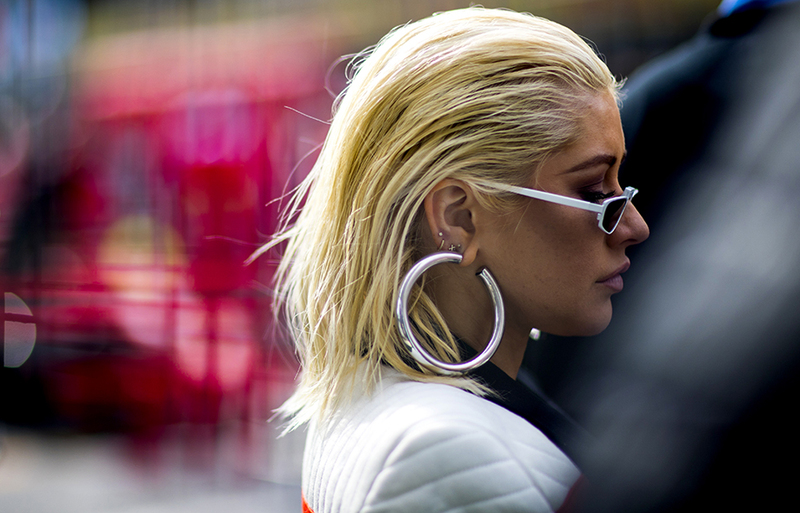 Pop Star Christina Aguilera is pictured prior to the Azerbaijan Formula One Grand Prix at Baku City Circuit on April 29, 2018 in Baku, Azerbaijan. 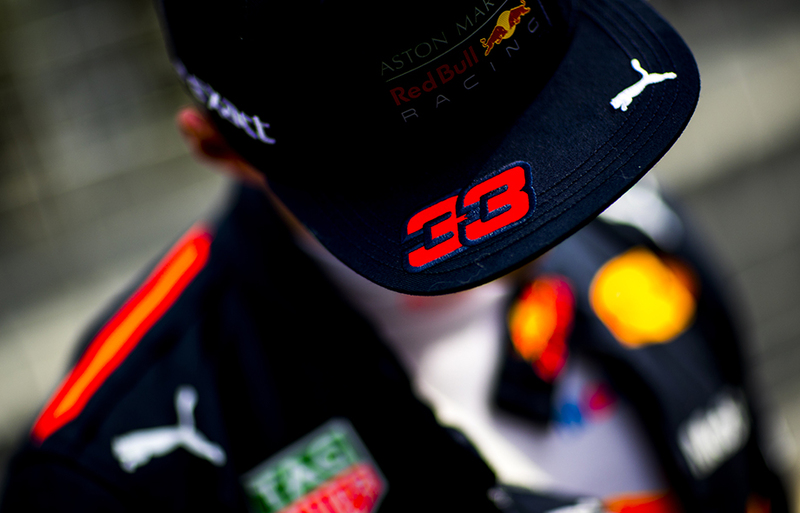 Max Verstappen of Netherlands and Aston Martin Red Bull Racing prepares on the grid prior to the Azerbaijan Formula One Grand Prix at Baku City Circuit on April 29, 2018 in Baku, Azerbaijan. 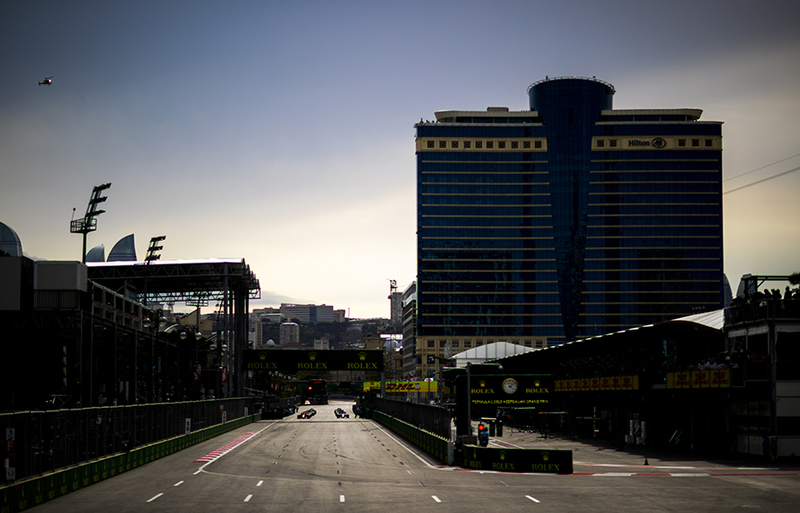 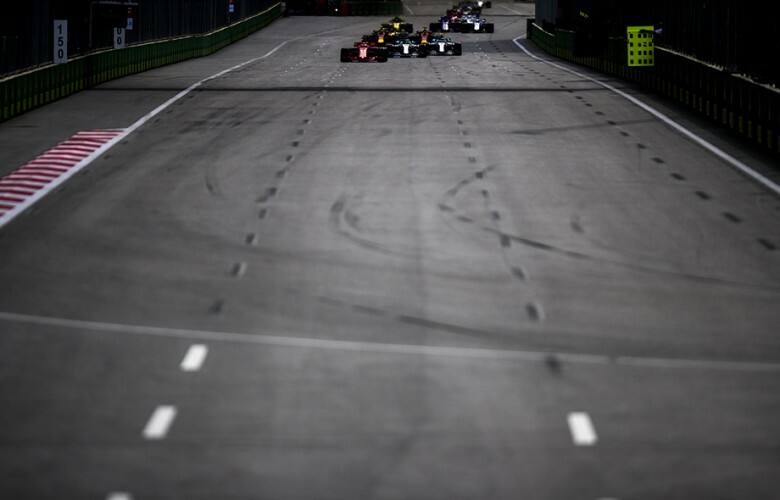 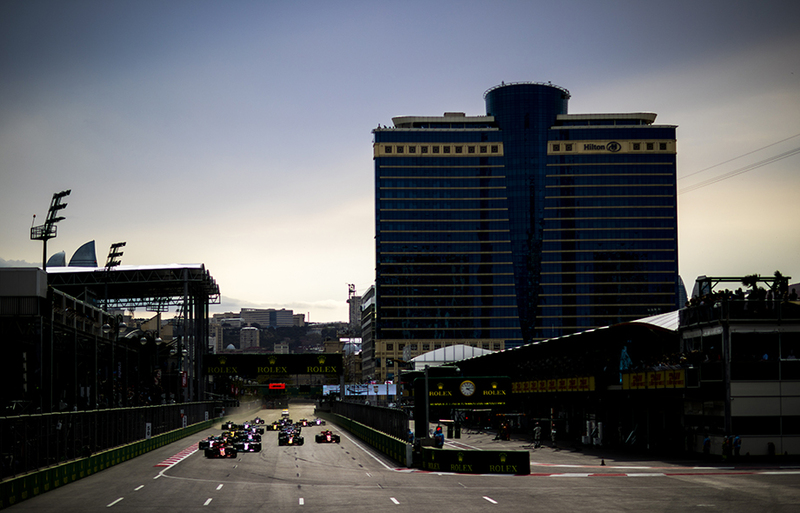 Cars are lined up on the grid prior to the start of the Azerbaijan Formula One Grand Prix at Baku City Circuit on April 29, 2018 in Baku, Azerbaijan. 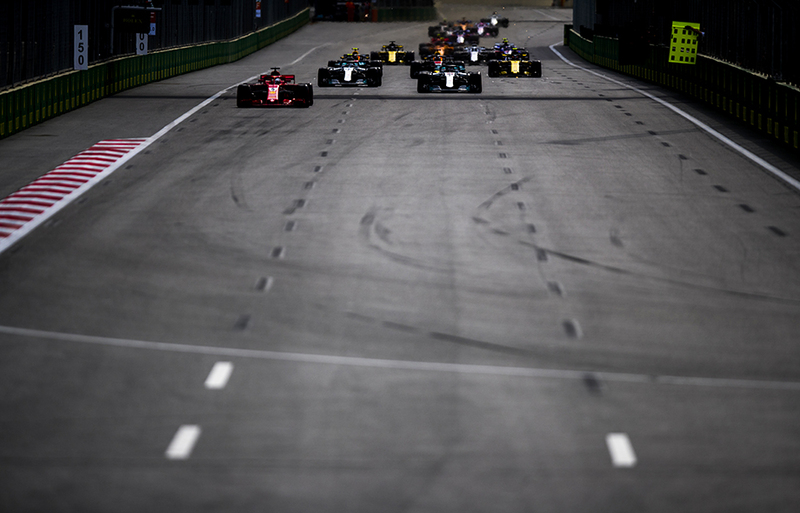 Sebastian Vettel of Germany and Scuderia Ferrari leads into turn one following the start of of the Azerbaijan Formula One Grand Prix at Baku City Circuit on April 29, 2018 in Baku, Azerbaijan. 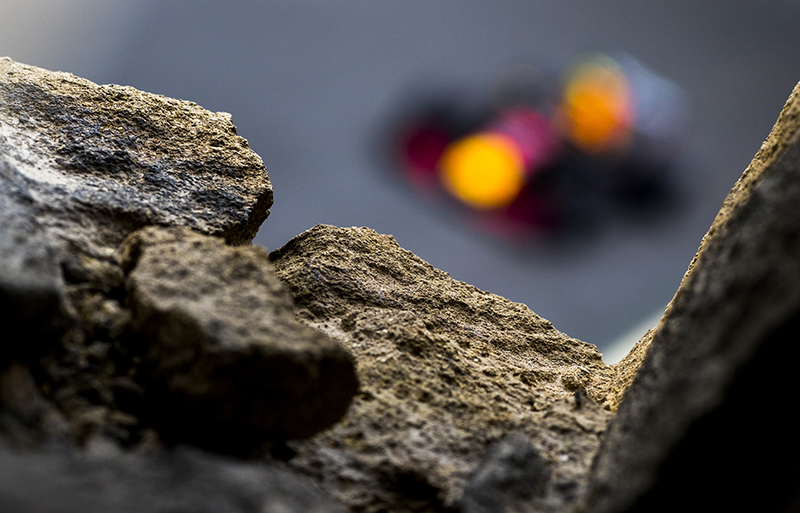 Max Verstappen of Netherlands and Aston Martin Red Bull Racing is seen track side following his crash with team mate Daniel Ricciardo during the Azerbaijan Formula One Grand Prix at Baku City Circuit on April 29, 2018 in Baku, Azerbaijan. 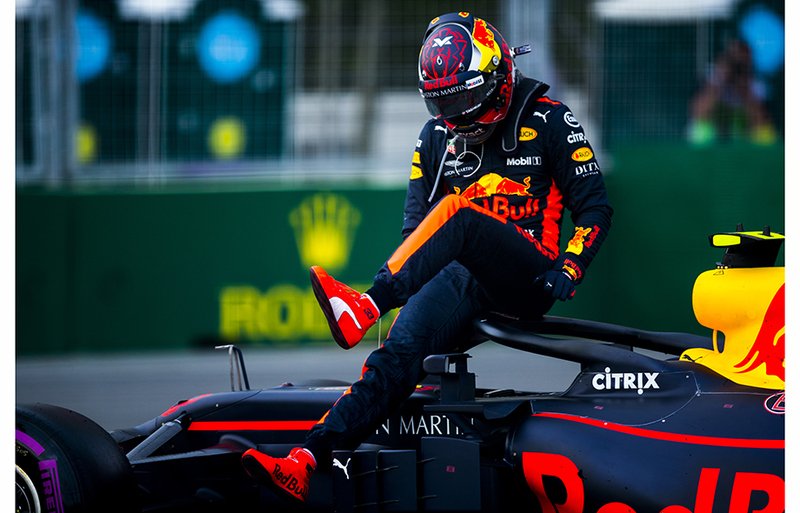 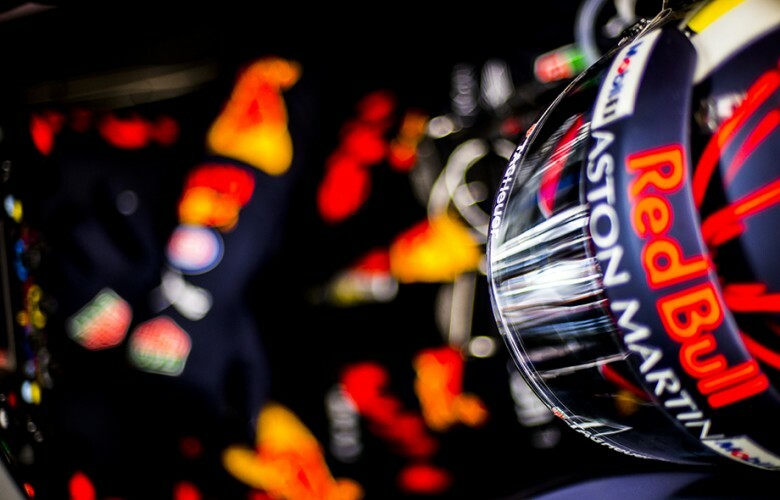 Max Verstappen of Netherlands and Aston Martin Red Bull Racing inside his cockpit prior to the Azerbaijan Formula One Grand Prix at Baku City Circuit on April 29, 2018 in Baku, Azerbaijan. 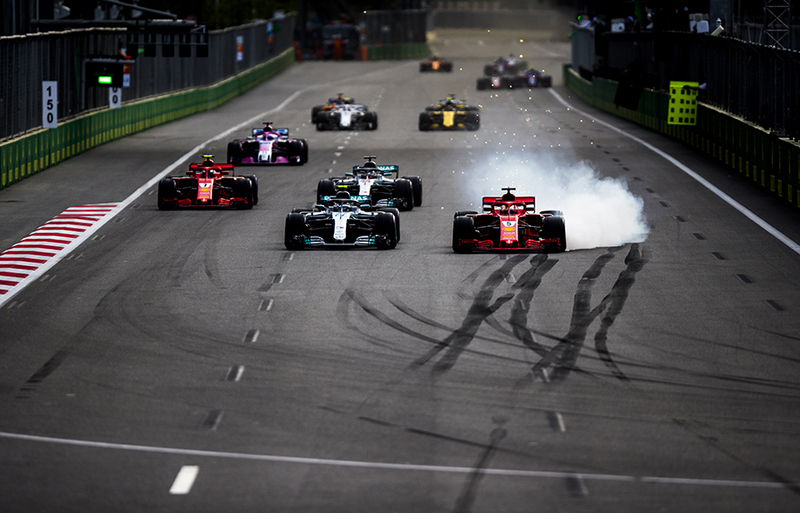 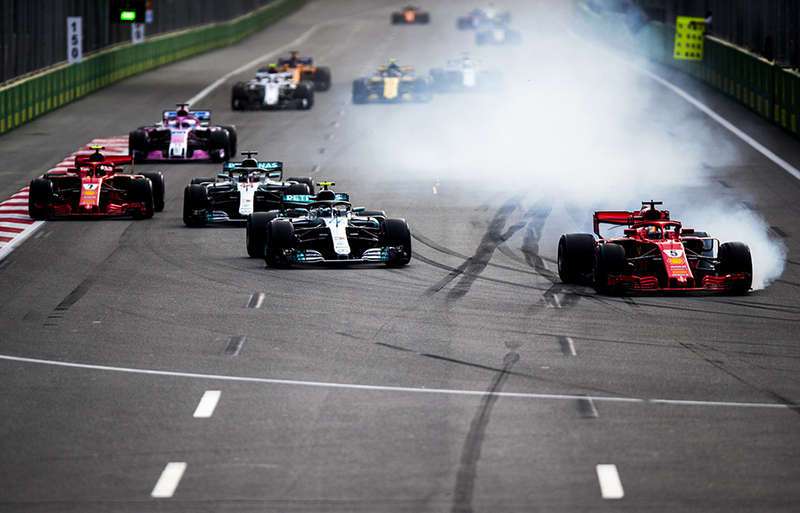 Sebastian Vettel of Germany and Scuderia Ferrari leads in front of Lewis Hamilton of Great Britain and Mercedes AMG Petronas and Valtteri Bottas of Finland and Mercedes AMG Petronas during the restart of the Azerbaijan Formula One Grand Prix at Baku City Circuit on April 29, 2018 in Baku, Azerbaijan. Daniel Ricciardo of Australia and Aston Martin Red Bull Racing drives his RB14 during qualifying for the Azerbaijan Formula One Grand Prix at Baku City Circuit on April 28, 2018 in Baku, Azerbaijan. 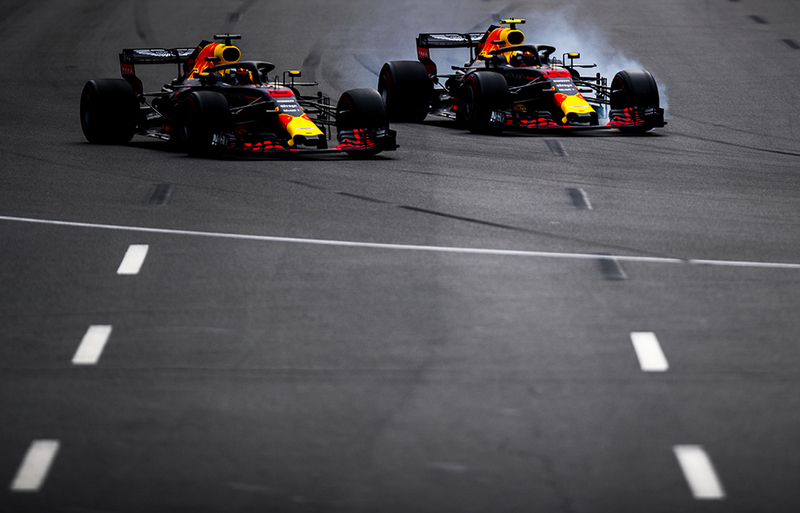 Daniel Ricciardo of Australia and Aston Martin Red Bull Racing leads his team mate Max Verstappen of Netherlands and Aston Martin Red Bull Racing during the Azerbaijan Formula One Grand Prix at Baku City Circuit on April 29, 2018 in Baku, Azerbaijan. 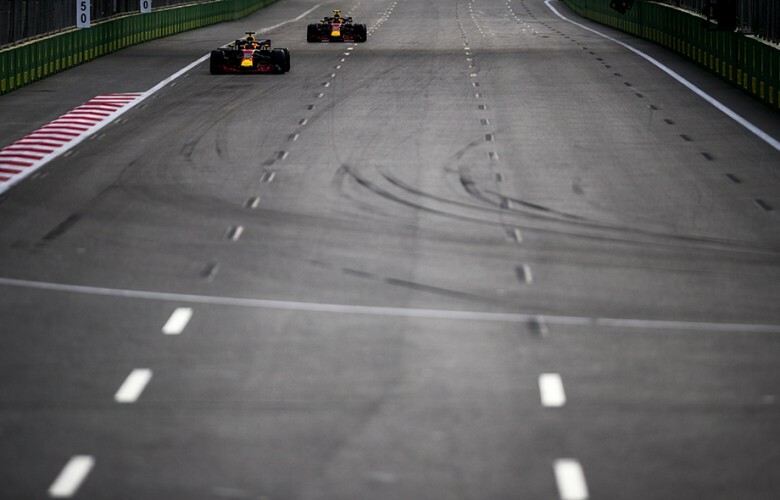 Daniel Ricciardo of Australia and Aston Martin Red Bull Racing and Max Verstappen of Netherlands and Aston Martin Red Bull Racing battle side by side during the Azerbaijan Formula One Grand Prix at Baku City Circuit on April 29, 2018 in Baku, Azerbaijan. Max Verstappen of Netherlands and Aston Martin Red Bull Racing jumps off his RB14 following the crash with his team mate Daniel Ricciardo of Australia and Aston Martin Red Bull Racing during the Azerbaijan Formula One Grand Prix at Baku City Circuit on April 29, 2018 in Baku, Azerbaijan. 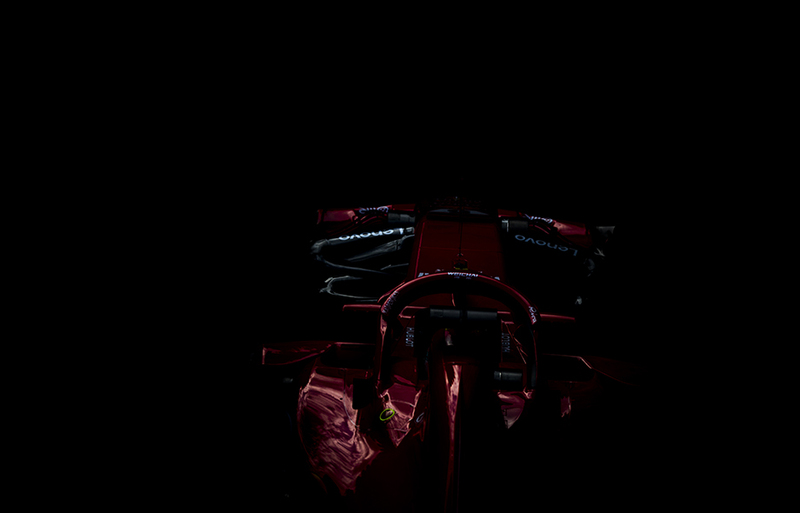 Sebastian Vettel of Germany and Scuderia Ferrari locks up in turn one and misses the chance of finishing on the podium during the Azerbaijan Formula One Grand Prix at Baku City Circuit on April 29, 2018 in Baku, Azerbaijan. 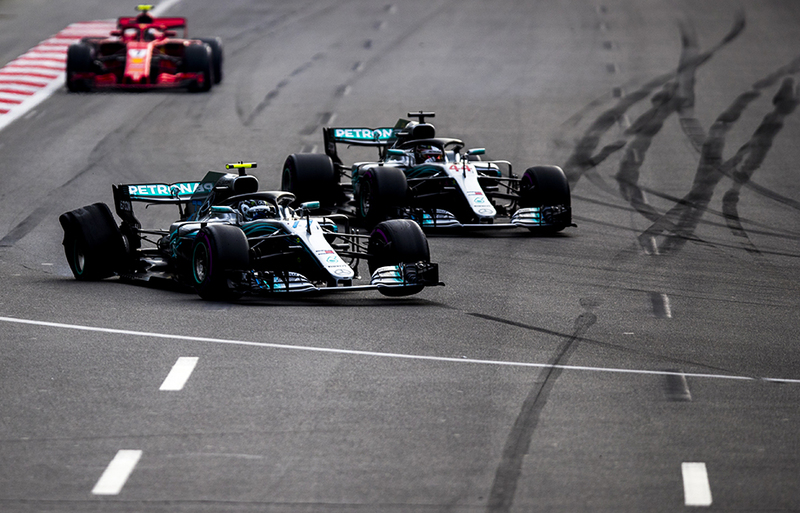 Valtteri Bottas of Finland and Mercedes AMG Petronas with punctured rear right tyre only two laps before the end of the Azerbaijan Formula One Grand Prix at Baku City Circuit on April 29, 2018 in Baku, Azerbaijan. 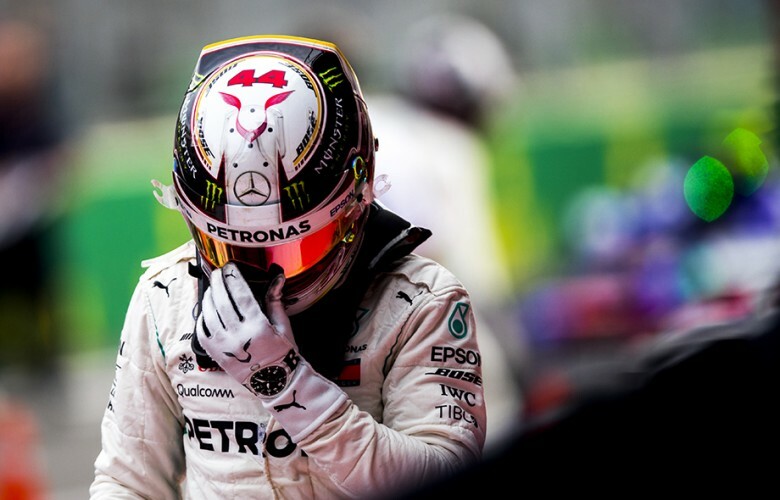 Lewis Hamilton of Great Britain and Mercedes AMG Petronas in Parc Ferme following his win during the Azerbaijan Formula One Grand Prix at Baku City Circuit on April 29, 2018 in Baku, Azerbaijan.